We set out to make Sir Mix A Bot an affordable project that can quickly come to life. Surprisingly, most of the electronics can be sourced relatively easily and off the shelf. 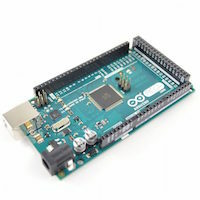 With known microcontrollers (Arduino), wifi chips, and stepper motors – one of the most costly components to the bar itself is the frame. We would have loved an injection molded masterpiece – or a metallic frame made of the highest quality 304 Stainless and TIG welded to perfection. Unfortunately by doing so, we would have made the cost of building your own automatic bartender prohibitively expensive. Lightweight: Less than 4 kg, so the frame could still be hung from a wall if needed with the additional drinks. 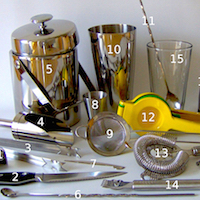 Easy to Assemble: 1-2 Tools required for Assembly at most. No special welding, switching tools, etc. Fun Aesthetic: We had to be able to show some creativity. This is after all, an automatic bartender and so making the end result something pleasing to look at and entertain guests was a must. 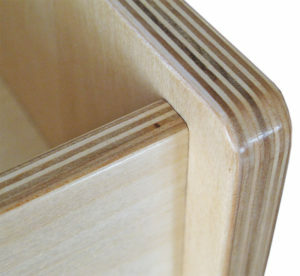 Baltic Birch is an incredible material. The wood has a higher modulus of elasticity than most comparable hard plywoods (more research here) and has the added benefit of a nice finish. Unlike most plywoods, the end product can still be sanded and made to look like a final product. Furthermore, at ~6mm thickness, the wood can still be easily laser cut with no other manufacturing needed. In addition to the baltic birch considerations, we also examined using 2020 Aluminum channel frame. Aluminum (especially in 2020 frame) has even greater strength properties. Furthermore, we could eliminate machine work altogether with 90 degree fasteners that are readily available. 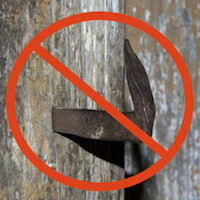 Unfortunately, the material is limiting because there’s no elements of creativity (all shapes must be 90 or 45 degrees). 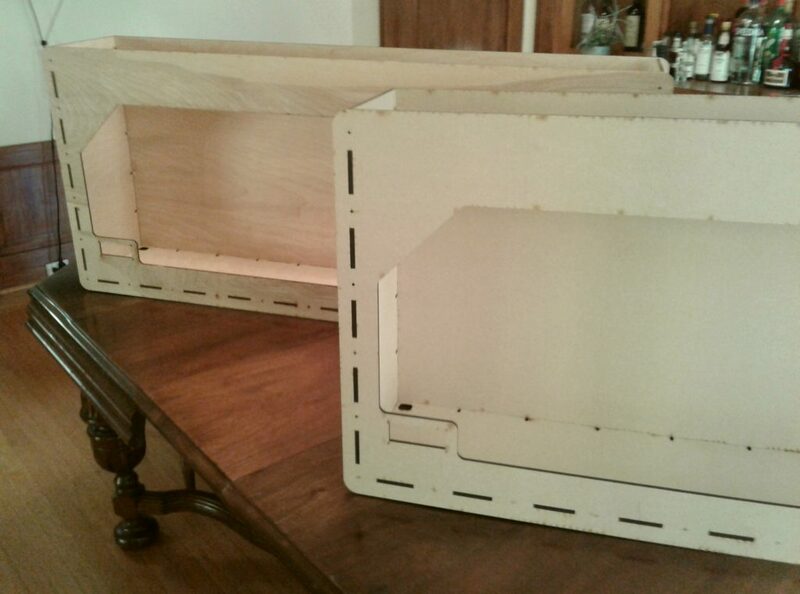 And assembly would require many pieces for a completed frame, and might still required a plastic cut cover or wood enclosure to look presentable. And lastly – the extrusions themselves are expensive – about $1.80 per 100mm of aluminum extrusion not accounting for the joints. Lastly – we decided to attempt a frame made from MDF particle board. Although MDF lacks the strength of the other two options …. it is abundantly affordable. About 1/2 the cost of the birch frame. And although it doesn’t stain well, or present the nicest end finish without paint, it can be repainted and finished to a reasonable degree. 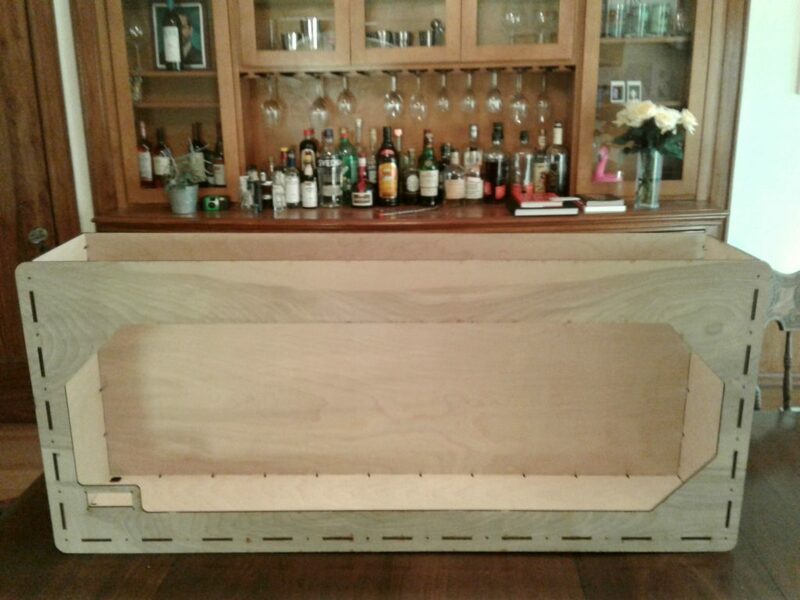 Ultimately – our robotic bartender was made in both MDF and Baltic Birch. We have two different sized version (an 1100mm length that holds 10 beverages, or a shorter 600mm version which holds 5 beverages). 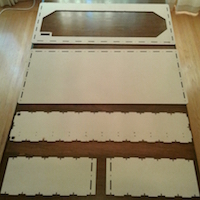 Here’s the prototype frames with a few notes on WHY our design choice led us down this path. Wanna laser-cut your own frame parts? We’ve got no problem, we’ll periodically update the CAD files here.